We run regular Holiday Workshops in Southampton! These are held at King Edward VI School, and are open to all. See details below of our upcoming Easter Holiday Singing Workshop! Please contact us or keep an eye on our Upcoming Events page for dates. You can also follow us on Facebook, Twitter and Instagram to stay up-to-date on where else we’re running sessions in the South and South West. 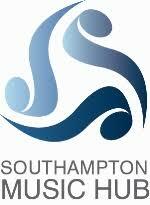 We’re proud to be Delivery Partners with Southampton Music Hub. Through the Hub, we provide regular after-school Musical Theatre workshops for students in the city’s schools. Contact the Hub to find out about dates, locations and fees for our fortnightly Musical Theatre workshops in the 2018/19 academic year!